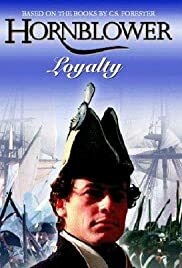 Commander Horatio Hornblower: [Speaking of the loyalty of Irish sailors to the British Crown] It is better to earn loyalty than to demand it. Admiral Sir Edward Pellew: When I was a child, I spake as a child, I understood as a child, I thought as a child, but when I became a man, I put away childish things. Admiral Sir Edward Pellew: Hmmm. You know, Hornbloer, it is very hard for a father to see his children grow up. Commander Horatio Hornblower: I'm not sure I understand you, sir. Admiral Sir Edward Pellew: I dare say, you will. Who do you support... and how? Peace has broken out. Of course, it's not certain it'll last. Not every Frenchman appreciates Napoleon, however - Major Côtard(Wise, solid as a pampered nobleman) will need transport, to meet with other friendlies, in his homeland. Hornblower(Gruffudd, driven by a sense of justice, yet not always virtuous) gets command(one of his first - he was granted the honor near the end of the war; in fact, he's had trouble making rent in his time on land) of the small ship charged with the task, and he brings in Bush(McGann, strict but not without sympathy). But some things don't seem to go as expected - could there be an enemy among the sparse crew? This goes into themes of friendship, trust, discipline, and, yes, loyalty - what side one chooses, how that comes into play. It enters into the side plot, as well - our titular lead is in love with the daughter of his landlady, and the feeling is mutual. However, can he genuinely help her, and in what way? Explored again are negatives and positives of the navy, society and the like, of the period. 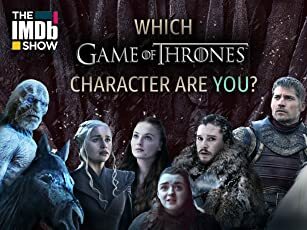 Filming(seldom betraying that this was made for TV), editing, script, dialog, acting, humor, action, tension, all are compelling.